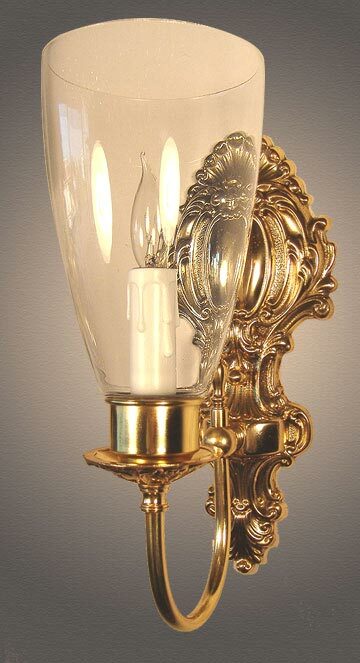 This Williamsburg style colonial candle wall sconce fits well as accent lighting for your dining room, hall way bathroom, powder room or anywhere you want guests to take notice. Polished brass version shown. Solid brass construction and a lovely Hurricane glass shade.The socket is covered by a 'Candle Cover' which has the look of wax drippings. Width 5 In. / Projection 7 In. / Depth 12 In.